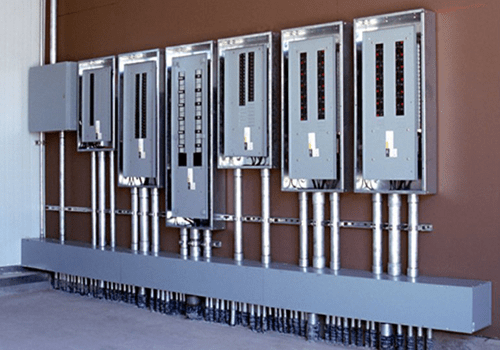 Is your electrical panel box old and outdated? Does your electrical panel make a crackling sound? Is the panel manufactured by Zinsco or Federal Pacific? If you have answered yes to any of these questions, this may be a warning sign that your electrical panel or your fuse box needs to be replaced. We install electrical panels made by the finest manufacturers. We guarantee that your electrical panel and main service replacement project will be completed on or before the date we have promised. We guarantee our workmanship and materials for a period of one year. If your panel or service gives you trouble at any time during that period, we will repair the problem free of charge. We guarantee that all materials used will be as specified, and up to code. All electrical panel changes and upgrades are done strictly by permit. We will ensure that the electrical inspection takes place at your convenience.